This adorable single strand flower toggle has the loops nicely hidden in the back. 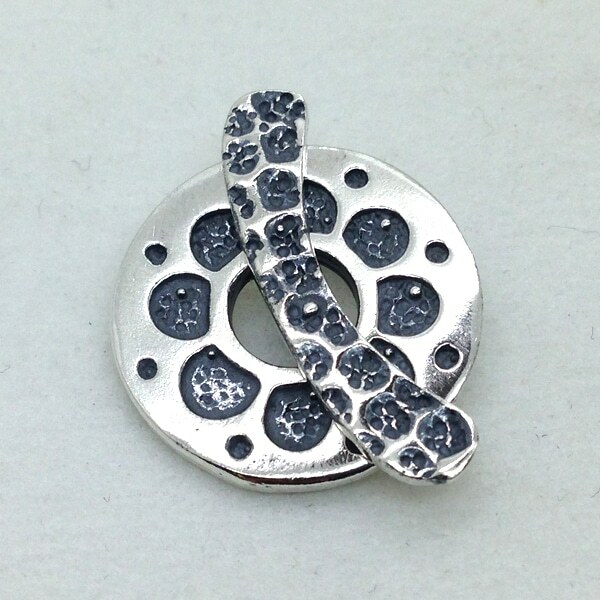 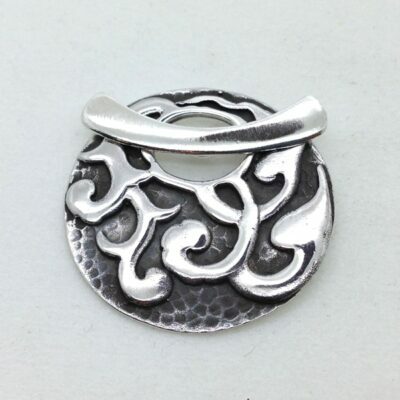 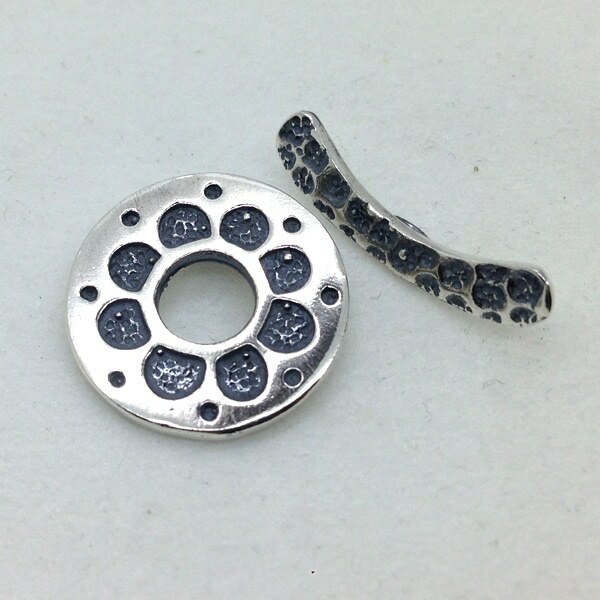 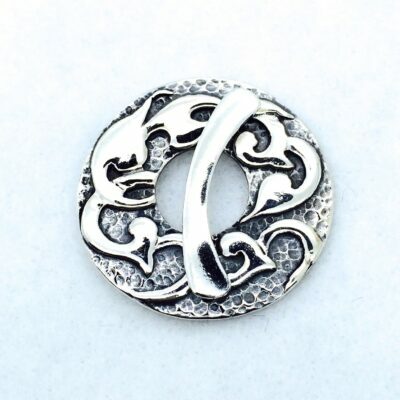 This solid sterling silver toggle is designed and created at the Saki Studio in Bangkok, Thailand. 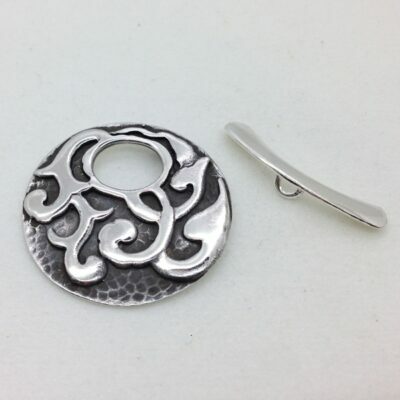 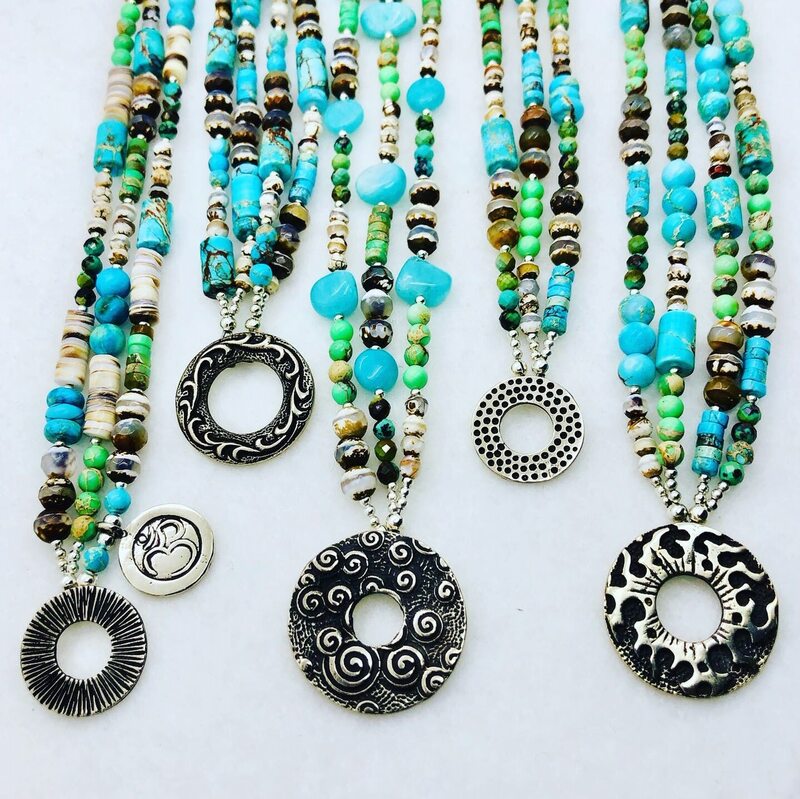 It is very sturdy so it can be used for necklaces and bracelets. 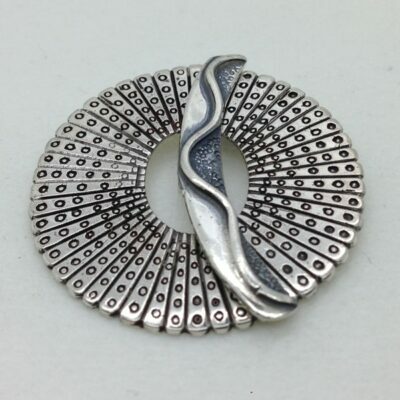 We recommend a polishing cloth for all of our silver, or a water soluble paste cleaner for heavier tarnishing.